John 12:20–36 is the most concentrated collection of sayings on the death of Jesus in the Gospel of John and, therefore, provides the interpreter with an appropriate place to reflect on the meaning of the death of Jesus in this Gospel. 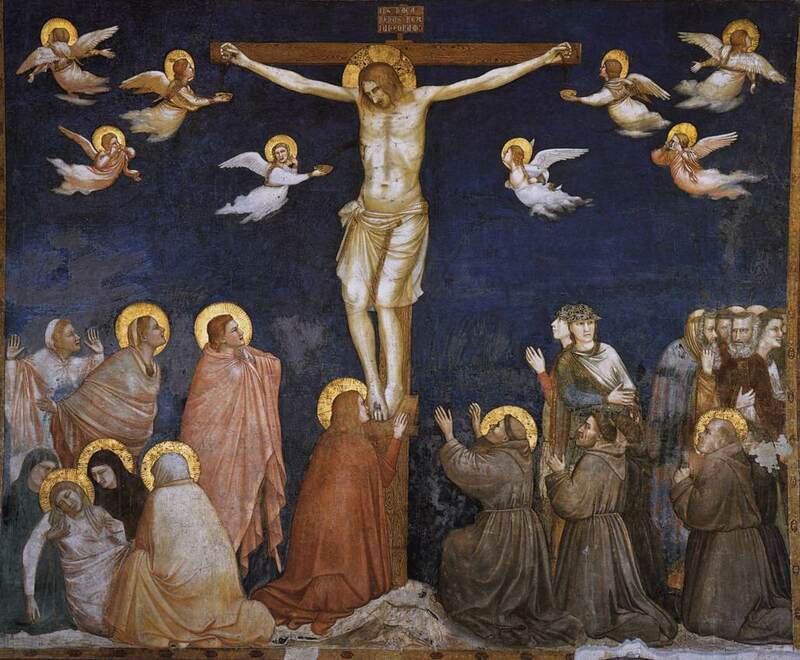 Theological inquiry about Jesus’ death and its soteriological [things relating to salvation] efficacy is most frequently identified as “atonement theology.” Before looking at the Johannine understanding of the death of Jesus, it will be helpful to review the theologies of atonement that have shaped and continue to shape the life of the church. It is conventional to speak of three atonement theologies that have had the most influence on the church’s understanding of the death of Jesus. These three models are commonly identified as (1) the ransom or “classical” theory, in which Jesus’ death is understood as the act of ransom (payment) that bought the world its freedom from sin and death; (2) the substitutionary or sacrificial victim model, in which Christ’s death is understood as the sacrifice necessary to atone for human guilt and sin; and (3) the “moral influence” theory, in which Jesus’ death is understood as a model of moral behavior because it reveals to humanity how much God loves them. None of the traditional atonement theologies presents a soteriology that accords with that offered in the Fourth Gospel. Theologies of ransom or substitution are wholly absent from this Gospel’s understanding of the cross. For example, as the discussion of John 10:1–21 pointed out, Jesus is not a victim at his death, but is in complete control (see 12:27–28 also). Abelard’s theology of Jesus’ death on the cross as the demonstration of God’s love captures part of the Fourth Gospel’s soteriology, but as the discussion below will suggest, it overlooks the demand for human response and decision that is an essential part of Jesus’ “glorification” in John. In reflecting on the Johannine understanding of the death of Jesus, it is important to begin by remembering that theologies of atonement are in actuality theologies of reconciliation—that is, they attempt to explain how God and humanity were reconciled to one another in Jesus’ death. There is a disheartening tendency in theological conversations in the contemporary North American church to subsume all models of reconciliation under the umbrella of “sacrifice.” Sacrifice is one way of understanding reconciliation, but not the only way. Jesus’ sayings in John 12:23–36 suggest an alternative model of reconciliation, one that is built around the restoration of relationship. Throughout the Gospel, this new relationship to God and one’s fellow human beings is described in the metaphors of new birth and new or eternal life (e.g., 3:3–8; 4:14; 5:24; 6:40, 47, 54; 10:28; 17:3). Jesus’ glorification is the final step in the offer of this new life, because through Jesus’ death, resurrection, and ascension God’s relationship to the world itself is irrevocably changed. The world that lives in opposition to Jesus (“this world”) is judged by Jesus’ death, and its power overcome (vv. 25, 31). Jesus’ death has this effect, not because it is a sacrifice that atones for human sin, but because it reveals the power and promise of God and God’s love decisively to the world. What is striking about John 12:23–36 is that the connection between Jesus’ death and the life of the believing community is repeatedly stressed. The faith community consists of those who redefine the meaning of life on the basis of Jesus’ death (vv. 24–26). The faith community is the fruit of Jesus’ death; it is what shows forth Jesus’ love to the world (see also 13:34–35). It is the transformative potential of Jesus’ death for those who believe that leads to the repeated expressions of temporal urgency in 12:23–36. It is critical to believe in Jesus so that one can share in the gift of his life—the gift that leads to eternal life, to the confident assurance of God’s and Jesus’ abiding presence. A strong note of tension and judgment is implicit in this urgency, because for Jesus’ death to effect reconciliation with God one must make the decision to believe in Jesus. That is, Jesus’ death offers reconciliation to all people, but one must decide to accept this offer. This element of tension is lacking in all of the dominant theologies of atonement, and, as a result, the balance between the human and the divine is skewed. That is, there is a tendency for discussions of atonement to favor either the side of divine initiative (ransom, sacrifice) or of human embrace of God’s love (moral influence), but in the Fourth Gospel, the focus remains steadfastly on the inseparable interrelationship of the divine and human, an interrelationship that is most fully expressed in the incarnation. At the heart of the Johannine understanding of the death of Jesus is the recognition that it is of a piece with the life of Jesus. Jesus’ death is an expression of his relationship with God, which began “at the beginning.” For the Fourth Gospel, then, a theology of reconciliation does not focus exclusively on the death of Jesus, but on the incarnation itself—the life, death, and resurrection of Jesus—and on the interrelationship of God and Jesus in love that the incarnation reveals. The Fourth Gospel, then, makes two important contributions to the ongoing conversation about reconciliation. First, it suggests a way of understanding reconciliation that takes relationship as a serious theological category. Jesus’ death is the ultimate expression of his relationship to God and to his own people (10:16–18). The decision to believe is the decision to become a partner in that relationship, to become a member of a community that is bound to God and Jesus as they are bound to each other, and whose relationship to one another is an extension of the God/Jesus relationship. Second, the Fourth Gospel insists on placing the incarnation as the starting point for any conversation about atonement and reconciliation and not isolating Jesus’ death on the cross as the sole moment of reconciliation. Jesus’ glorification, the events of his “hour,” complete what began in the incarnation (cf. 12:28), but the incarnation itself is the locus of reconciliation. The Anchor Yale Bible Dictionary, ed. David Noel Freedman, Gary A. Herion, David F. Graf, John David Pleins and Astrid B. Beck (New York: Doubleday, 1996). This entry was posted in Scripture and tagged John 12:20-33, models of atonement by Friar Musings. Bookmark the permalink.